Earlier this week, the Consumer Financial Protection Bureau (CFPB) took action against a biweekly mortgage company that apparently lured consumers with false promises of mortgage savings. In the suit, the CFPB claims Nationwide Biweekly Administration, Inc., Loan Payment Administration LLC, and owner Daniel Lipsky misrepresented the savings consumers could achieve via his program. Additionally, consumers were allegedly misled about the cost of the program in which they paid $49 million in fees from 2011 through 2014. As a result, the agency is seeking compensation for those harmed by the companies in question, along with a civil penalty and an injunction against the companies and owner. In a nutshell, these companies transmit funds on behalf of borrowers to their mortgage servicers in exchange for a fee. Nationwide Biweekly Administration offers a product called the “Interest Minimizer,” which allows consumers to send half mortgage payments every two weeks, equating to 26 half payments annually. That means an extra payment is made each year, which lowers the interest expense borrowers pay and allows them to build equity more quickly. Now there’s nothing wrong with that if you want to pay off your mortgage early, but you’ve got to look at all the costs involved. For that convenience, seeing that lenders don’t generally allow partial payments, these companies charged all types of fees. Apparently Nationwide Biweekly Administration asked for a whopping $995 upfront to enroll in the program and another $84 to $101 in payment processing fees annually. And therein lies the problem. The company supposedly told consumers that they were guaranteed to save money, despite the fact that consumers would pay more in fees than they would save in interest for the first several years enrolled in the program. The suit also alleges that the companies knew some consumers would leave the program without saving any money at all. Unfortunately, such promises violate the Telemarketing Sales Rule and the Consumer Financial Protection Act, which prohibits unfair, deceptive or abusive acts or practices. Lipsky also stated, “You’re not increasing your payment,” despite the fact that consumers were actually paying a processing fee for each biweekly payment transmitted. Nationwide Biweekly Administration’s marketing materials also claimed that extra payments “are directed 100% to the principal of the loan,” but the company kept the first biweekly payment (up to $995) as the setup fee. The CFPB also claims the company’s sales scripts instruct representatives to redirect consumers if they inquire about fees, and none of the scripts stated the dollar amount of the setup fee. Lastly, one telemarketing sales script apparently instructed sales reps to not say “no” if the consumer asked if they were affiliated with the consumer’s mortgage lender or servicer, even though they knew they weren’t. So if you worked with one of these companies you might be due some compensation soon. Just note that this is only a complaint and it is not yet determined if they have actually violated the law. The takeaway here is that many of these companies that claim to save you money on your mortgage are actually charging you upfront to potentially save money over time. And the payoff may not come for many, many years, if ever. 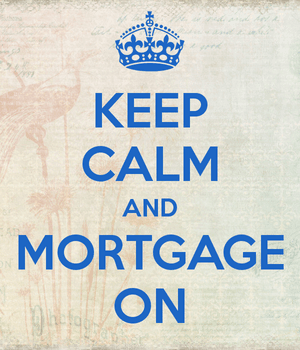 Now if you want to pay off your mortgage early, there are countless ways to do so without being charged any fees. There is also a simple no cost biweekly mortgage method you can implement to both save money and pay off your mortgage early without using an outside company. So consider setting up your own special payment plan before paying a third party a dime. Great article. This scam had gone on far too long. World Savings was one of the few who did a true biweekly – writing it into the NOTE and crediting payments accordingly. Not sure if any lenders offer a true biweekly any more. Until the agencies offer this it remains a portfolio loan option only and even then is probably non-existent now. Probably not much of an incentive to offer it…why spend money to implement the system and allow borrowers to save on their mortgages?